Is this camera rig the future of American filmmaking? State of the art digital 3-D rig. If you agree with the predictions of some of our most successful studio executives, producers, and directors—the answer is an unequivocal YES. And it is an affirmation that resonates through the multiplexes and into the offices of movie exhibitors who are newly flush with wondrous grosses from the hugely successful 3-D movies bursting off their screens and into their coffers. Movie writers and pundits crank out articles after TV news clips, brimming with glosses on the imminent demise of flat screen movies and the elevation of deep screen space into some kind of digital cinematic empyrean. If it’s in 3-D it’s gonna be a cash cow. Damn the ticket price increase (those plastic glasses must be way more expensive than those old paper ones— nice try, guys). The number of admissions may be down, but the per-screen average is in high orbit compared with those of the earthbound 2-D screens. This is not solely an American phenomenon. Several weeks ago, I listened to a Brazilian exhibitor in Sao Paolo wax on about how much more lucre he was raking in at the multiplexes he owned, at least the ones where he had installed 3-D screens. His only problem was the difficulty he was having with the too long lead time in receiving 3-D hardware from foreign manufacturers, the shipping and customs delays essentially robbing him of greater profits. Or does this next photo also represent the future of American filmmaking? Is the smaller prosumer type of HD 3-D camera, one without the bells and whistles of interaxial adjustment, a viable alternative for indie production? Will its lower resolution hold up on large theater screens? Is the limiting factor of fixed lens interaxes a mere grace note that is relegated to secondary relevance in this putative all 3-D future? Or is the ever-growing “democratization” of filmmaking ready for a 3-D rig like this one, a homemade setup that fits easily in size and price into anybody’s backpack. Ad hoc bargain basement 3-D rig. Not a sanctioned Kodak display; try this only at home. In the midst of all this tech hoopla which seems to be gaining currency at high end as well as amateur levels, I have found the voice of the professional cinematographer to be curiously muted, even pensive. Admittedly, we are not a group who clamors for attention inside the media buzz whenever a new technology emerges, especially a re-cycled one like 3-D. We are more inclined to step up to new technology and the equipment that implements it— and just figure out in a hands-on encounter, what it is exactly that we are facing. We have learned through hard experience that the imperatives of the box office and manufacturers do not necessarily mesh with our creative aspirations. But the forces of the next new thing march onward, even if the direction of the march is still indeterminate. As if to fill a need not yet clearly defined, users’ guides to 3-D filmmaking are readily available, an easy reference in case you are an over twenty-five, tech stumblebum or, like me, lost without a roadmap into this virtual New World. This may be effective entry level but is "3-D for Dummies" next? Of course, all this amateur and entry level interest in do-it-yourself 3-D may seem to be only the very low-hanging fruit on the stereoscopic tree, but it is symptomatic of pop culture's obsession with the NEW. And with the release of 3-D gaming and the push to market 3-D TVs flooding the sports channels airwaves, it is anybody's guess where it will all wash up on shore. Stereoscopic movies of the Fifties were photographed with 35mm film cameras, most of which had wide lens interaxes, (“interaxial” being the term referring to the lateral distance between the two camera lenses, as opposed to “interocular,” which refers to the distance between the human eyes). Because of the sheer size of the cameras it was difficult to place the side-by-side camera lenses close to each other. (Yes, 3-D historians, I know that not all systems were side-by-side). Even if the cameras could approximate human interocular distance (about two and a half inches) such a fixed distance would not necessarily create a pleasing effect for every distance, lens focal length, or image size. What became clear to us in the workshop is how necessary it may be to alter interaxial distance, even during the shooting of the shot. This turns out to be a highly personal choice, some of us preferring a wide interaxial distance, even at the expense of having (to me at least) an exaggerated sense of depth, often resulting in distorted features in the portraiture; others opted for a greatly reduced interaxial distance of less than one inch, creating a more subtle blend of foreground to background. It is partly the interaxial distance that determines depth and it is this greater distance between the two lenses that made the characters in these older films appear to be diminutive, doll-like. Ah, if only it were that simple. The viewer’s distance from the screen, effectively the image size in relation to field of view, as well as the degree that the viewer is centered to the screen, present personal, but very real variables in judging the effect of 3-D, not to mention the more subjective element of one’s emotional investment in the scene. And we haven’t even begun to discuss the effects of focus (accommodation), depth of field, convergence, parallax, and divergence—and, of course, lighting, as crucial elements to consider and critique. First off, human interocular distance is constant, but the most pleasing 3-D movie images are not necessarily the product of maintaining this constant lens interaxis. This simple fact gets to the root of what a conceit the whole idea of a 3-D movie is. Many call 3-D, not disparagingly, “a trick,” a trick that contains a lot of inherent pitfalls. The point of image convergence can be variable, chosen separately from the shot’s interaxial distance. The lens focus may or may not be locked into this convergence point. The single greatest concern about parallax (the displacement between the left and right image) is that it is for many viewers it is the single most disturbing and fatiguing element when the eyes try to resolve or fuse the image. Our human eyes, unlike the movie frame, shift convergence points effortlessly and instantly, parallax playing a negligible role as the brain works as a kind of psychic filter. 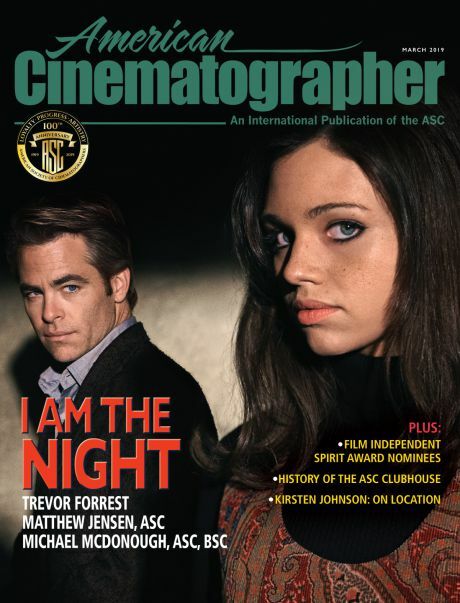 I can easily imagine that those of you who are not working cinematographers but who read these weekly essays because of your interest in all the arts, know even less about the workings of 3-D movies than I did even a few weeks ago. I admit I am no wiz in the technical intricacies of 3-D filmmaking, but I have begun to understand some of the challenges inherent in the format and why its effective use has often been so problematic in the past. This old memory may be why not all older filmgoers (myself included) are jumping onto the 3-D hype wagon. It seems to me, that given the technical and aesthetic pitfalls surrounding 3-D cinema, it is important to develop a methodology, a working schema, to not have the “trick” of 3-D subvert the dramatic narrative. There is also the issue of a limiting factor called “edge violation.” This happens when a shot element that is in negative parallax (out in front of the screen plane) intersects or overlaps the screen edge, especially the sides; it becomes impossible for the viewer’s left and right eyes to achieve fusion, as one of the images is incomplete. The corrupted image appears to either stutter in place or retract inside the screen. This is one reason why a classic bit of 2-D film grammar, the over the shoulder shot, is trickier to execute in 3-D and why many instructors and stereographers try to avoid it. Edge violation is enough of a taboo that I could clearly discern arbitrary editorial cut points in some of the older 3-D films that we watched in the workshop, cuts that were determined not by scene pacing, but by the avoidance of edge violation. I have two observations: first, just in case there are not already enough challenges in dealing with 2-D, d-cinema projection, especially in venues not easily accessible for maintenance troubleshooters, there are now suggested daily set-up guidelines for the already harried projectionists, who may also be doubling as snack bar servers; and second, having been a working projectionist myself during film school days, I have the utmost respect for this beleaguered profession whose job description has become geometrically more demanding in a digital age—with little compensatory wage boost to reflect it. So does that make the projectionists the de facto gatekeepers of 3-D as well? I have been told by very smart people with much more experience and aptitude in 3-D filmmaking than I will ever achieve, that I will have to work differently as a 3-D cinematographer—that there is not an across the board integration of 2-D planar filmmaking grammar and style into 3-D. I understand this—in principle. When primitive sound movies rapidly displaced visually sophisticated silent ones in the late 20s, adjustments had to be made. It took smart directors and cinematographers a while to adapt to and adopt the new reality. But they did so amazingly quickly. I recently saw the John Ford/ Ray June film Arrowsmith from the Sinclair Lewis novel. It was made in 1931. It is a subtle and well-rendered film in its use of sound and dialogue, without compromising the camera style and lighting. The deep focus lensing and chiaroscuro light even anticipate Welles and Toland’s Citizen Kane, made a full decade later. This evolution from silent to sound cinema did not really displace thirty years of filmmaking technique. Nor should the adoption of 3-D technology require setting aside a century of filmmaking style, of a grammar and methodology that has evolved into a powerful narrative and emotional art form. Perhaps this seems an obvious proposition to you. But I have to admit that some astute 3-D proponents have told me straight out that I WILL have to work differently and create images in a new mold. 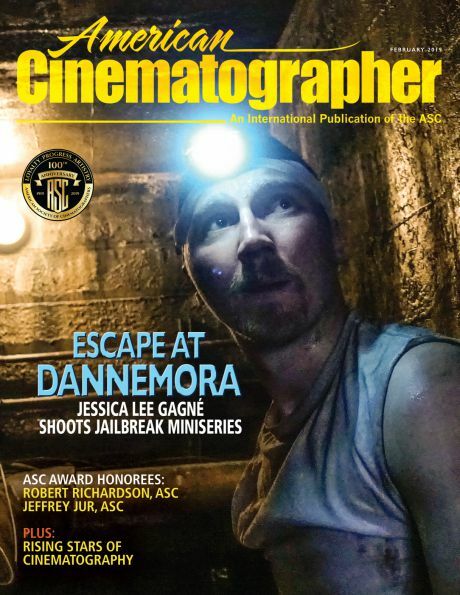 It’s no secret that the anamorphic format is my format of choice for photographing feature films, as I recently discussed at a CineGear panel with fellow ASC cinematographers Rodney Taylor, James Chressanthis and Daniel Pearl. It has been suggested that in the 3-D world, a much reduced selection of lenses (and wider ones at that) is advisable — that the longer focal length lenses I often prefer, and the shallow depth of field I choose for dramatic purposes, are elements that do not strongly support the guidelines for effective 3-D cinema. I understand the optical mechanics of this— but I refuse to accept it as a preset aesthetic mandate. To do so would be for me to march backwards into the future—that is if we want to assume that the inevitable future is, in fact, 3-D as the dominant, if not sole, distribution platform for theatrical films. Excuse me for the moment if I demur. I am as excited by a new technology as the proverbial next guy (well maybe not so, if the next guy happens to be James Cameron, who is so far ahead of all of us that mere filmmaking seems inadequate for his visionary look into the future). Cinema is indeed a highly complex and technical art form; it is easy to lose focus that we are the artists who drive this seductive technology, rather than its minions. I still revere an encounter I witnessed between an old-time Universal Studio gaffer and a young electrician on a TV show where I was myself an inexperienced camera operator. The lamp operator was struggling with a (for him) new kind of set lamp cabling. “Listen, kid,” the gaffer yelled up to the green-bed, “You gotta be smarter than the equipment.” That has pretty well defined my own career love/hate relationship to equipment and technology. Learn enough to not be intimidated by the tools. But you don’t have to become enamored of them. They don’t have feelings. I remember well that my mentor, Nestor Almendros, was so myopic that he could barely find the on/off switch on the first generation Panaflex (a first-time camera for him) that we were using on Days of Heaven. But that did not impair his vision as a great artist; he won the Academy Award for his breathtaking photography on that film. Arrival at the farm, the Titan crane ascending. The critic Roger Ebert is certainly no fan of 3-D, at least not the cheesy 3-D that he fears is going to be grunting and running amok in the cinematic pigpen of new technology. He does express interest in what Werner Herzog may do in 3-D as an immersive technique, in his new documentary on the 30,000 year old Chauvet Cave paintings in the Ardèche region of southern France. But that hardly constitutes spear-chucking Cro-Magnons assaulting the screen plane. Dr. Barry was in her mid-forties before she saw the world in 3-D— and vision education had been part of her teaching curriculum. When I was interviewing Canadian camera assistants for my first film in Vancouver many years ago, one candidate said right off, “I know what you’ve heard about me.” “What’s that,” I asked, intrigued. “I only have one good eye,” he said. I looked down again at his impressive resume. “I see you’ve done a number of anamorphic films: more challenging focus situations, for sure. From your credits, I don’t expect there’s a problem.” Every film I have photographed in Vancouver has been with him. He’s a gentleman, a friend, and one of the best technical assistants I’ve ever worked with. So much for the primacy of depth perception. But the size is just about the same. Personally, I find it difficult to believe that a camera system the size of these 3-D high-end digital camera rigs is one that I can feel comfortable with in a filming environment that's beset by sub-zero temperatures with less than five hours of usable daylight. Maybe I’d be more accepting if I were shooting in the controlled environment of a soundstage where there’s plenty of room for the video and human support team (a larger crew than for 2-D video production), where the tag-along video village required for any HD 3-D shooting, can be tucked away into a rather large corner of the soundstage — conditions just not possible for me. Another question addresses visual aesthetics. Just what are the cinematic depth cues with an actor standing on ice, more undefined ice masses behind him, a flat, ill-defined horizon, overcast, flat light, and a whiteout sky? Hmmm. On the other hand, much more favorable shooting conditions are offered by the climate-controlled confines of a modern sports stadium. The combination of static camera positions, the cameras themselves equipped with wide interaxial telephoto lenses, present an easy fit, a really great shooting gig for the 3-D TV camera operators— that is unless the combination of telephoto lenses and the exaggerated interaxial distance creates an even more odious dollhouse effect. On the level of purely personal amusement, my recent acquisition of a pocketsize Fuji 3-D digital camera with a no glasses required lenticular screen is a conversation starter anywhere. For the time being, this will have to satisfy my curiosity about 3-D imaging. But I am reserving for the near future, I hope, the option to photograph an intimate dramatic film in this format, in a style close to traditional production, a film where depth cues are subtle and where the actors converge at or near the screen plane. This is how I imagine Jack Cardiff and Freddie Francis would have made Sons and Lovers had the 3-D frenzy lasted until 1960. Even as I write this, I can hear howls coming from some devoted stereophiles, impassioned advocates who get easily riled at anyone’s discussing the topic who is not as technically informed as themselves, or who may argue that 3-D digital “capture” (hate that term) is anything less than a total cinematic revolution, that a dissenting perspective could only come from a Luddite. No matter. My skin is pretty thick; it’s part of the prerogative that comes from forty plus years on production battlefields. But the challenges of how to integrate this technology into more than a century of film grammar are real. Yes, I've taken potshots at clay pigeon images of amateur 3-D. But we need only look at TV manufacturers' commercials making a hard sell at every World Cup half-time break, or at theater trailers for next weekend's stereo blockbuster, to survey the landscape that the studios and manufacturers are ploughing. For professional filmmakers to mindlessly walk down those furrows will put us smack up against a stone fence line. 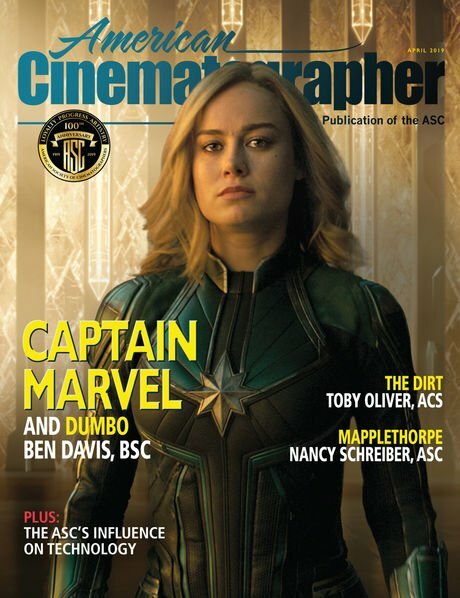 It is incumbent on cinematographers more than any other category of filmmakers to step forward and challenge the present marketing of 3-D, and not to be sucked into the maelstrom of hype. If it is a truly new way of making movies, it will be up to the cinematographers and the directors with whom they work to seamlessly fold these techniques into the historical stream of cinema going back to Melies and the Lumieres. Otherwise, once the novelty has worn thin, as it has in the past, the current 3-D product will have the shelf life of one of Lady Gaga's wardrobe malfunctions. Herzog is quite specific in what he hopes 3-D will add to his documentary on the Chauvet Cave. It is this kind of close questioning that all filmmakers should be making. The Marinsky Theater in St. Petersburg, home of the Kirov Ballet, recently broadcast a medley dance program in 3-D conducted by Valery Gergiev. It was seen throughout Europe by the few who had 3-D TVs, but it is a start. I remember that the best 3-D demonstration I have ever seen was a ballet short made by Vince Pace, which he showed Rob Hummel and me at his Burbank facility. Its immediacy and immersion made me consider its future potential for MetOpera HD broadcasts in 3-D. Already, in big screen 2-D presentation these transmissions into neighborhood multiplexes create an intimacy and immersion in the musical experience that is drawing a new generation to opera. If there is a real future for 3-D it is for venues like this, where it is defined by its subtlety rather than its vulgarity. What I want to accomplish with this multi-perspective look at 3-D is to elicit reactions on the subject from many quarters: from those of you who have kept the faith, carrying the torch of 3-D filmmaking during the dark days, from those of you who today are making personal 3-D films for yourselves, and who may screen with my friend Ray Zone and the Stereo Club of Southern California in a vintage downtown movie palace. I’d appreciate the thoughts, as well, of those who are studying the 3-D path but have not yet set out upon it. I also would like to hear from those of you who reside outside these hermetic circles, hovering on the periphery of the technology, and from those who have mixed or unresolved opinions, and, yes, from those of you who think the whole phenom is bunk and wish it would just dry up and blow away. The comment box is open below.